The last time I was able to drink regular cows milk without any problems was over 18 years ago. Since being diagnosed as lactose intolerant and really missing the cold, fresh, creamy taste of a tall glass of milk I have made great efforts to find the best non dairy milk alternative. If you're like me and miss the yummy taste of milk, but just can't drink it anymore due to allergies, lactose intolerance or vegan lifestyle, this review of milk alternatives will steer you in the right direction the next time you are in the grocery store and confused about all the different products out there that promise you great taste and nutrition. How do you know if you are one of those people out there who can no longer digest milk? And what about milk allergies? What are the symptoms? Lactase is an enzyme located on the wall of the intestines that breaks down lactose (the sugar found in milk) into galactose and glucose. Lactose intolerance is when your body no longer produces that enzyme to break down the lactose found in dairy products. Not everyone is the same when it comes to being able to digest milk as we get older. Both cultural and genetic factors can come into play. Did you know that two thirds of the people in the world are lactose intolerant? The severity of your symptoms can depend on how little or how much your body produces lactase, along with the amount of dairy (lactose) in your diet. The more lactose and the less lactase in your body, the more severe your symptoms will be. Milk is unfortunately one the nine most common food allergens out there. Symptoms of an allergic reaction to milk or any other item is the overreaction of the body's immune system to a particular allergen. The most severe form of an allergic reaction is called anaphylaxis. Each of these alternatives to milk usually come in unsweetened, plain (original) and vanilla. Sometimes they can come in other flavours such as chocolate or even strawberry. The texture of the milk (smooth, grainy, etc.,) and overall flavour can vary not only with each type of milk alternative, but also with each brand. Not all soy milks taste the same or have the same texture or nutrition content, for example. Also, the milk alternatives out there are not automatically organic. Some are, but others are not. Always, always check the label before you buy any product at the store or online! I remember back in the day when soy milk was touted as the next great super food. Do remember the craze? Some scientific research and testing later, it appears all the super amazing benefits of soy may have been a little over-rated. However, nutritionists still believe that including some soy in your diet can still provide real benefits to your overall health. 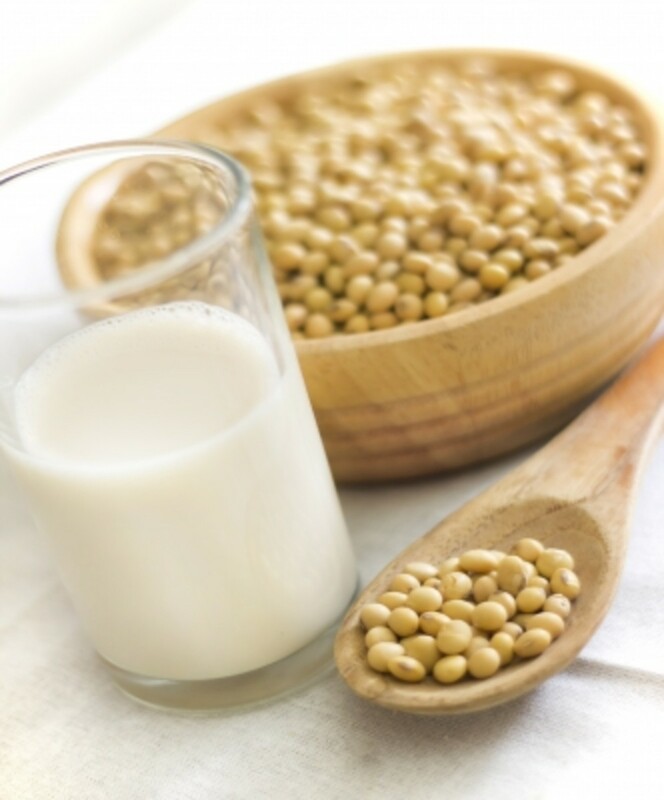 Soy milk is made from the fluid of soy beans that have been soaked and ground with water and then strained. High in (complete) protein and contains no cholesterol. It can be substituted for regular milk in most recipes. Approximately 25 grams of soy protein a day, which contains naturally occurring isoflavones, has been found to reduce low density lipoprotein (bad cholesterol) by about 10%. Phytoestrogen in soy can help your body easily absorb calcium and prevent the loss of bone mass. Can cause allergic reactions in some people. Does not contain any calcium if it is not fortified. Some brands of soy milk may have a stronger "bean" taste than others. Due to the chemical structure of isoflavones in soy milk, it mimics estrogen by attaching to your body's estrogen receptors, thus competing with your own body's natural supply. This has sparked conflicting medical studies that show soy milk is linked to an increase in breast cancer in women, while other studies have shown it may reduce your chances of developing cancer. As part of a family with a limited grocery budget, I want to get the best value for my money and with soy milk you certainly get more for your money. I'm not crazy on the "bean" taste, but the smooth and creamy texture of the Silk brand soy milk is really nice. I do feel "full" after drinking it, which is nice. Sugar is also a big thing for me, I like that soy milk has a low serving of sugar per serving in the "original" flavour. It is also very accessible from pretty much any grocery store or convenience store for that matter! Step-by-step tutorial and recipe to make soy milk at home, on the stove. One of the first milk alternatives I began to drink when I found out I was lactose intolerant was rice milk. Not having tried anything else, I found that I didn't mind the taste of the Rice Dream Vanilla. 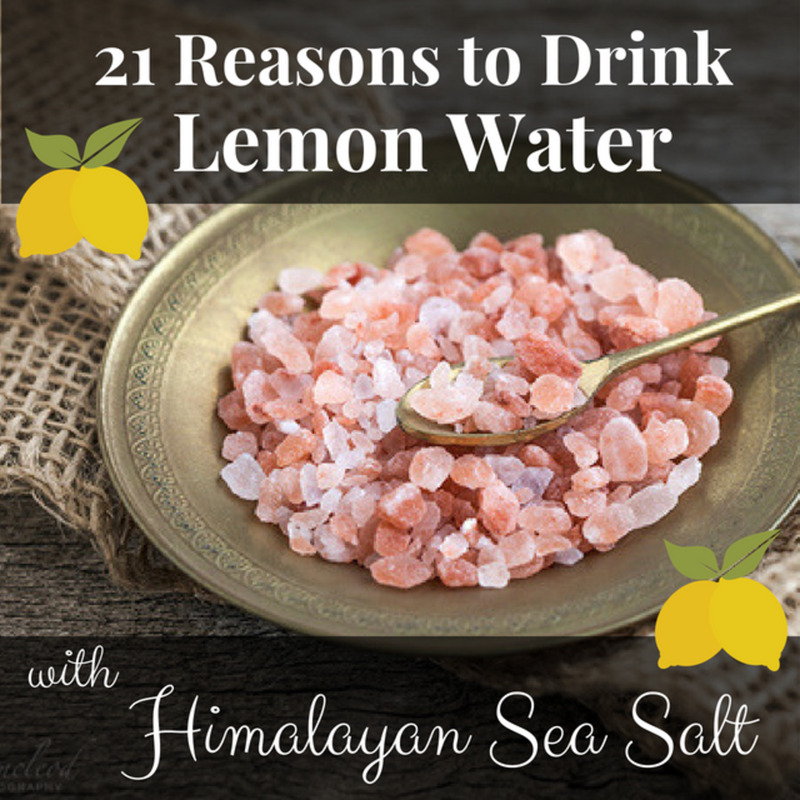 I liked to drink it as is, but when I used it in my cereals (I love my cereal) I found it was like adding sweetened water. Commercial rice milk is made from boiled rice, brown rice syrup and brown rice starch. It's made by streaming brown rice through a mill stream and filtering out the pressed grain. In some cases a thickening agent is added in the making of commercial brands of rice milk. 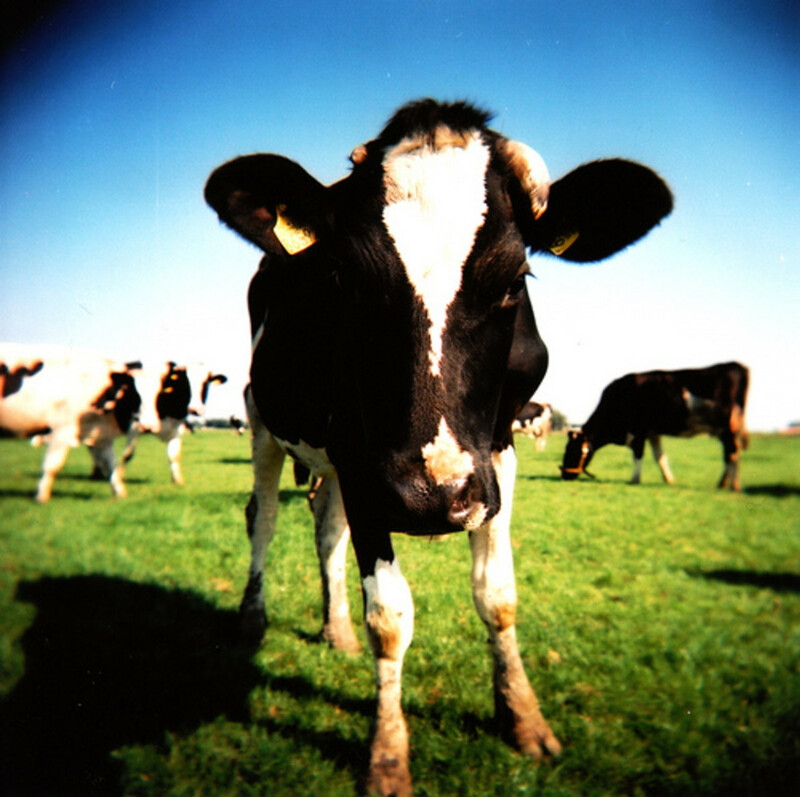 Low allergen benefit for people with milk allergies. Heart healthy because it is low in fat and proven to reduce your blood cholesterol, although it still contains more fat than a glass of skim milk. Fortified rice milk can be a great source of calcium, vitamin B, iron, and other minerals as well. Because rice milk tends to be a little sweet naturally, it is good to use when baking. Relatively inexpensive to make your own at home. Just be sure to include other sources of calcium or a calcium supplement in your diet since rice contains very low amounts of calcium. Much lower in protein than other milk alternatives out there, averaging about 1 gram of protein per 1 cup serving. After drinking rice milk you may feel less satisfied. One cup of rice milk contains approximately 33 grams of carbs, nearly three times the amount in cow milk. This makes rice milk an unsuitable milk alternative for diabetics or anyone watching their carbohydrate intake. Due to the natural sweetness of rice milk, it does not make a good substitute for milk in savory recipes or salty dishes. I don't like the chalky, watery consistency of the milk. I don't like the high amount of sugar per serving. I love my cereal and using rice milk just seems like putting sweet water on it. It can be easily found in most grocery stores I've been in and it's not too expensive, for the most part. I don't find rice milk to be very nutritious compared to other alternatives out there. After reading about some recent studies on soy (what I used to drink) I decided to switch to almond milk, just to be on the safe side. 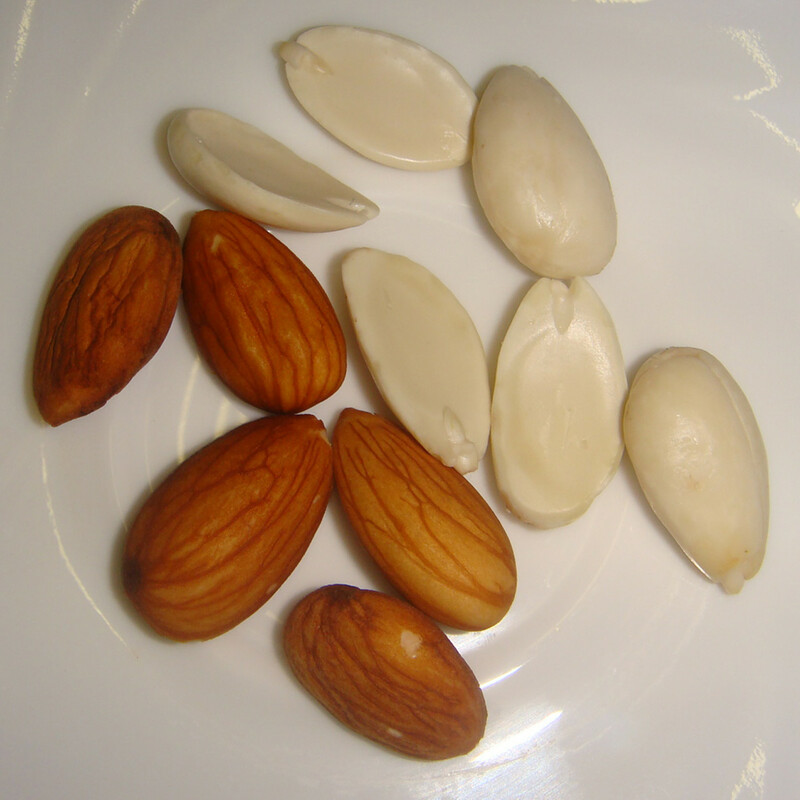 Almond milk is made from almonds that are soaked in filtered water, then ground up and filtered again to remove the pulp (ground almonds) so that you are left with the milk. Some commercial brands add various sweeteners or flavours to the milk. Compared to other milk alternatives, almond milk is significantly lower in calories per serving. Many unsweetened varieties are as low as 40 calories per 240 mL serving compared to the average of 100 for the other milk alternatives out there. Lowest in carbohydrates, averaging around just 2g per serving, which is beneficial if you are trying to lose weight. The low amount of sugars almond milk naturally contains are also different from other alternatives because it has a low glycemic index, which is good news for diabetics. Naturally rich in calcium with each cup containing almost 30% of your daily recommended intake and 25% of our daily vitamin D intake. Contains 50% of our daily recommended intake of vitamin E (for your skin) and 4% of our daily iron. Keep in mind these are naturally occurring in the milk and not just added later to fortify the milk. Naturally low in sodium at around 5mg per serving. 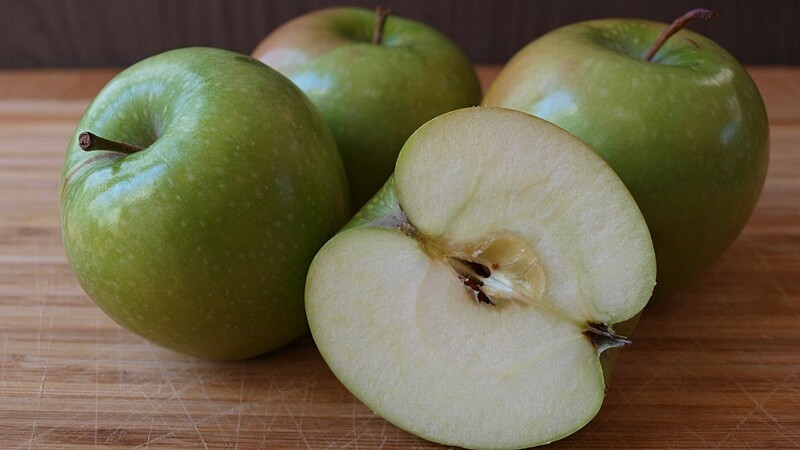 Works well in baking both sweet and savory dishes since it is not naturally sweet. According to Dr. Oz, it is an anti-inflammatory food and beneficial for people who suffer from pain. Because it is a nut product there is a possibility of having an allergic reaction. More costly to make if you are interested in making your own at home. Considered a goitrogenic food, which means people with thyroid issues may not be able to drink it as consuming large quantities may inhibit the absorption of iodine by the body. I love the smooth texture of the milk and the nutty taste. I like how you can get a thicker milk or thinner milk, depending on your taste (I like a bit thinner). Now that they are selling almond milk in the refrigerated dairy section, you can get more for less money! I like getting good value for my grocery money! The nutrition content is extensive and I like that it is a good source of calcium and iron naturally. Tastes fabulous in homemade puddings and custards. I like that the sugar per serving is 7 g and under. Oats have long been recognized for the many health benefits it provides to our bodies raw, cooked as a cereal, in baking, and even in facial masks and body scrubs to name a few. Colloidal oatmeal is used in products such as soaps for people with skin problems such as eczema and like rice, has a low on the allergen list and if you want to make it at home, it's inexpensive and relatively easy to make. Oat milk is made in the same fashion as almonds, rice or soy milk. 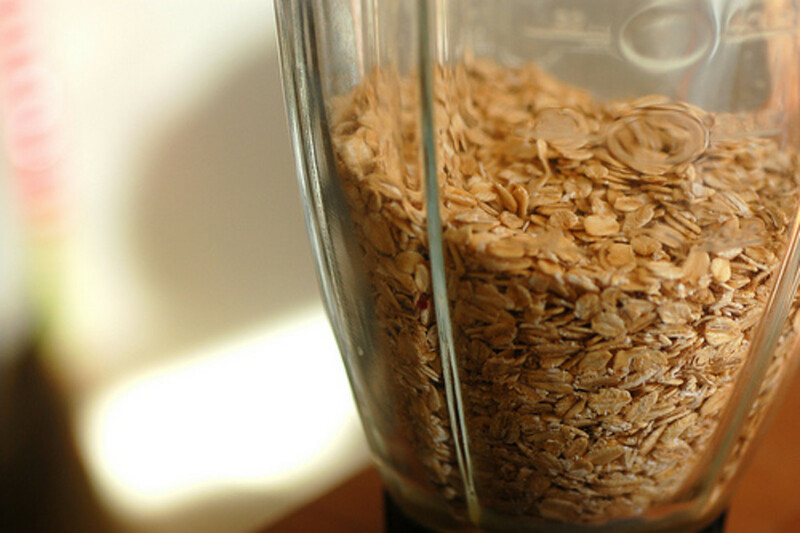 Raw oats (any kind) is soaked in filtered water and then strained. You can also used cooked oats instead of raw for a creamier milk. I have never tried oat milk so I can't give it an honest review, but based on the nutrition information I think it has great nutrition benefits. The high amount of sugar per serving does not make this an alternative that fits my lifestyle. This is a great tasting option that can be made very quickly and easily from 3 simple whole ingredients: oats, salt and water. Hemp milk is considered to be the new kid on the block when it comes to milk alternatives. Hemp milk is made from the seeds of the hemp plant and while many people are concerned that it contains the chemical THC found in marijuana, the truth is, this chemical is not found in or associated with hemp. Hemp milk is made by soaking and then grinding the seeds, then blending them with water and straining out the pulp. Rich in both omega-6 and omega-3 (alpha-linolenic acid, not (EPA and DHA) found in fish oil) essential fatty acids. 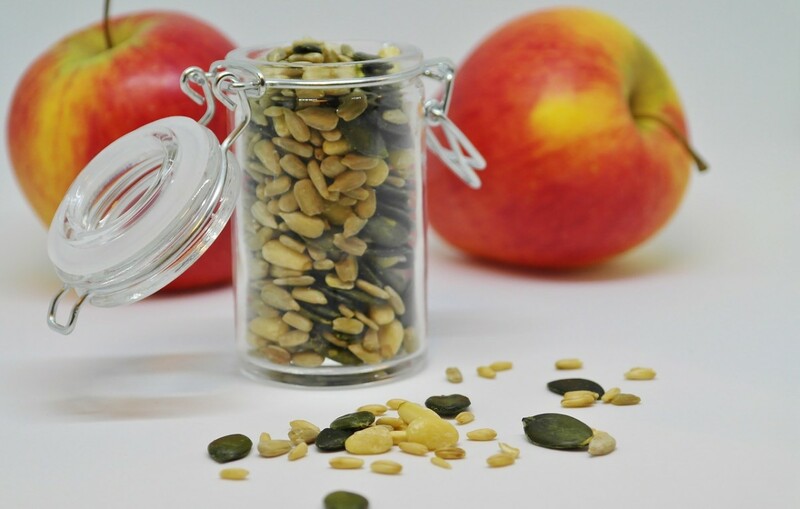 Contains other nutrients such as magnesium, phytosterols, ascorbic acid, beta-carotene, calcium, fiber, iron, potassium, phosphorus, riboflavin, niacin and thiamine. The protein is easier to digest than soy protein because it does not contain oligosaccharides, complex sugars that can cause flatulence if not properly broken down during digestion. Some manufacturers use carrageenan as a thickening agent (known to cause cancer in rats and mice), so read labels carefully. Has a unique taste, you either like it or you don't. Has a grayish, off-color that may not be suitable for certain recipes. Hemp seeds must be obtained from farmers in other countries such as Canada and in Europe in order to produce hemp milk due to legal restrictions in the US for growing hemp. More expensive and harder to find in stores than other milk alternatives. I have to be honest, the first time I tried hemp milk I spit it out! I HATED the taste! Can't say I cared much for the colour and texture of it either. It was kind of grey looking and that put me off. This is too bad because I think overall, hemp is the best alternative based on the nutrition information. It has all the good qualities of all the milk alternatives put into one. I just wish it would taste better! I also find it a bit more expensive and certainly harder to find. The grocery stores nearby do NOT carry it. I don't have a car so I'd have to buy it online and now that it's November, they no longer ship it until the spring. 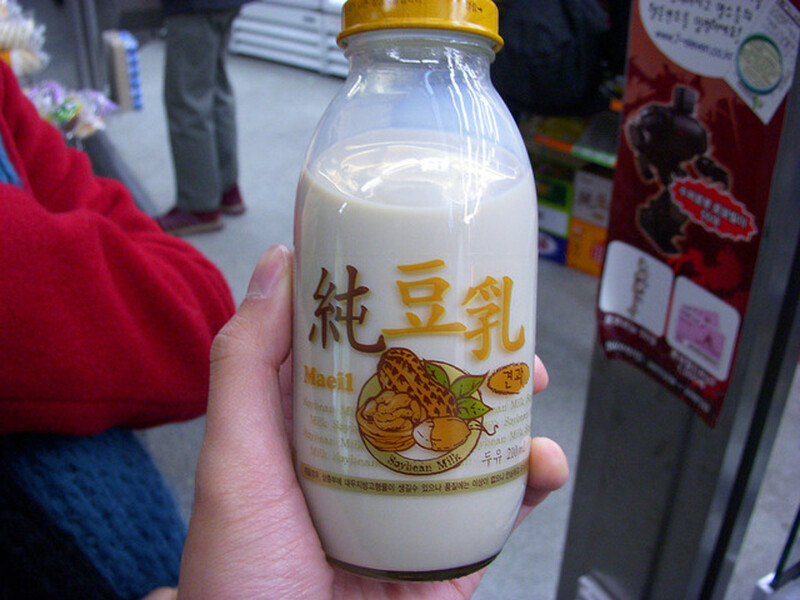 It used to come in a can, but now you can buy it in aseptic containers right next to the rice milk and the soy milk! 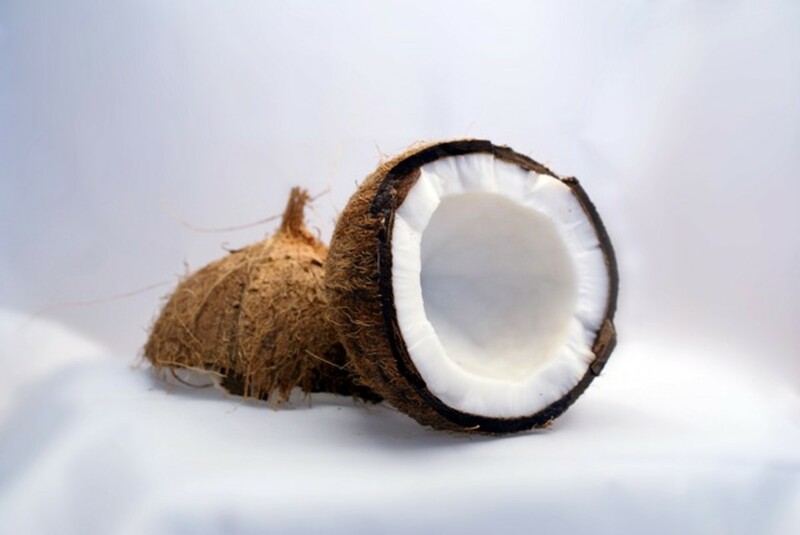 Coconut milk is no longer looked at as something you use only in baking or certain ethnic dishes, it is considered a real alternative to milk for anyone looking to consume something different. It can be made from fresh grated coconuts and then pressing the milk through a filter or made by blending filtered water with actual meaty coconut (or shredded from the store) and then strained or filtered afterward (or not if you make it yourself at home and like some added texture to your milk, fiber anyone?). One serving provides nearly a quarter of your daily recommended intake of iron. Contains kinetin riboside, a compound that has been shown to stop the growth of multiple myeloma and other cancers in animal studies, including prostate, colon and breast cancer and lymphomas. The chemical Bisphenol-A (BPA) is used in the lining of certain canned foods such as coconut milk, and because coconut milk is fatty, the chemical leeches into the food more easily. Not an issue if you get your coconut milk from a carton or aseptic packaging. The only coconut milk I've had came from a can. I love it for cooking, but I couldn't digest it properly, so I haven't tried it since. I don't know that coconut milk from a carton would be any different. The fact that it may help in the fight against cancer is really intriguing, it makes me want to try it again, despite the high fat content. I think it is a unique alternative out there and one worth trying! 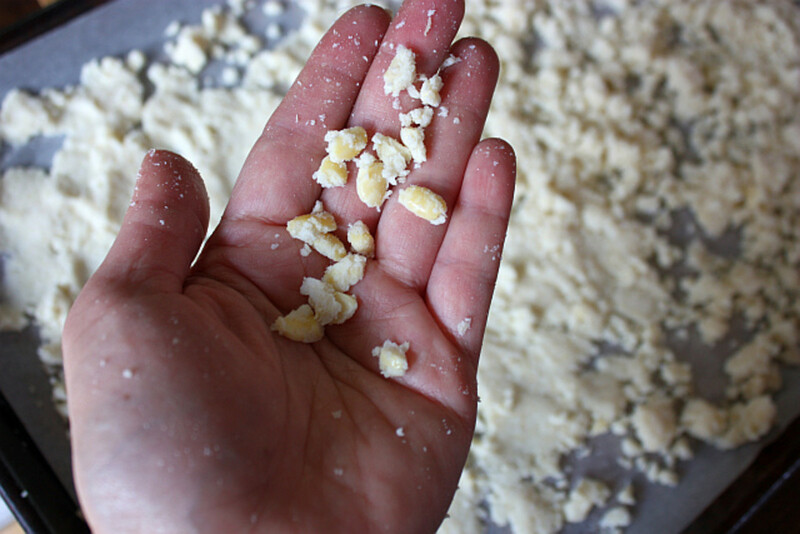 Save money and the environment by making your own organic coconut milk the easy way at home. This recipe is simple and fast with easy cleanup. No preservatives either! So Which is the Best Alternative? I have to be honest, that's a bit of a trick question because there is no right or wrong answer. Are you looking for something other than milk due to a lactose intolerance or allergy? Are you diabetic or suffer from some other ailment or ongoing health condition such as arthritis? Would it be for drinking/cooking/baking or just drinking on its own? Are you watching your carbs? Sodium? Sugar intake? Do you want something that fills you up and leaves you feeling satisfied? Do you want to increase your fiber intake? Do you need extra protein in your diet? Are you following a particular diet such as the Paleo diet? Are you watching your calorie intake? All of these questions will make some alternatives better than others. Then there is the texture and the overall taste? Don't mind a little bit of lumps? Thick or thin? Plain or sweet? There is also the logistics to think about as well. Do you live a in a city where there are many different grocery/health food stores or do you live where there is only one or two stores to shop from? Do you want to buy online or in person? Certain factors will be more important than others. For example, taste, cost and availability are what ultimately determined what I would drink. I love the nutrition of hemp, HATE the taste of it. Love almond milk, but Blue Diamond was too pricey for the amount of milk I got. I have 2 grocery stores to choose from and neither sell oat, hemp or coconut milk that does not come in a can. So my choices were almond, soy or rice. I tried many, many different rice milks, soy milks, etc. I finally found a great tasting and economically priced alternative! So the answer to the question really is, the right milk alternative is the right one that will work with your lifestyle, taste and budget. Calling All Non Dairy Drinkers! Which Milk Alternative Do You Drink? I can't drink milk so I either drink almond or coconut milk. I think these alternatives are better than regular milk. Love this article. You did a great job. A very thorough, informative hub. Thank you. I don't drink much rice milk, but I love it. Last time I bought it, I was considering almond milk. And I just saw here that almond milk is goitrogenic. I wonder whether people consuming it know about this. Out of your selection I haven't tried Hemp milk yet. Coconut milk is too sweet for me, but my sister loves it. We drink almond milk that doesn't contain any soy. It surprised me when my husband said he preferred it to regular milk. Good breakdown of choices. Being sure to pin this. This is so thorough, thank you! Hemp milk is difficult to find unless you have a chi-chi healthfood store around, but luckily almost every grocery store carries soy and almond. It is interesting how most of you posting here confirm that non-dairy milk alternatives seem to taste better than milk! Sue, I love almond milk too! It just tastes good with everything! Truthfornow, yes and it's not just hormones in the milk but the casein that can cause problems. 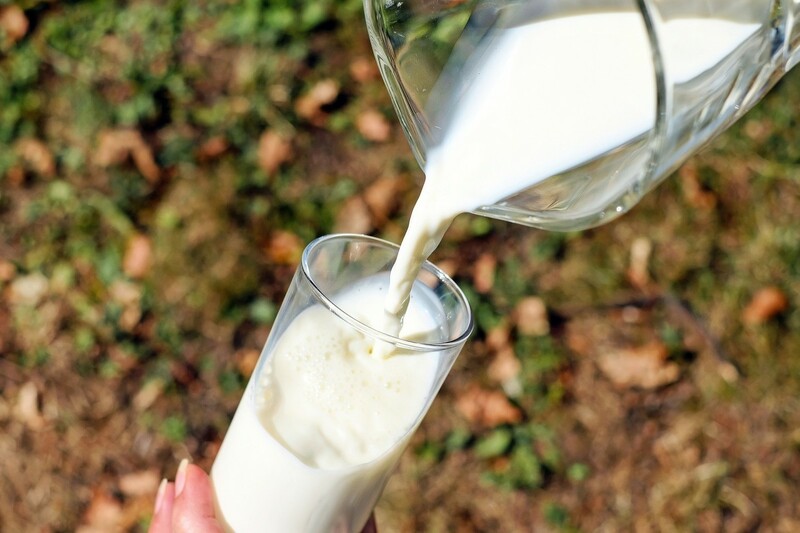 In fact, drinking milk and consuming dairy products actually leads to osteoporosis, it does not prevent it! Fulloflovesites, I hope you enjoy trying all the milk alternatives out there! There is now quinoa milk which I may give a try since I like it so much! You have to worry about the hormones with a lot of regular milk. I have only tried soy, rice and almond. They are all okay, but I would say that Almond milk is the tastiest and the smoothest. Nice article comparing the nutritional values of all. Excellent article. I love Almond Milk on cereal, much nicer than cows milk, it just seems to go better. I have done just a little research on GMO's.. I am a strong supporter of mandatory labeling on foods so that people can make an informed choice about what they put in their mouths! Great hub, have you done any research on GMO's? Its shocking what they do to nature! great article.. thanks for all the information. right now, i'm loving my rice milk. but i'm a bit of a grazer and will have tried all of them at some point (but i won't be returning to soy.. not a good one for me!). what a service you've provided by such a detailed analysis. great work here! Miss Jaimie, there are different brands of almond milk out there, each with its own texture, thickness, etc. If you try one brand and you don't like it, don't write off almond milk, just try another brand or a different flavour such as original instead of vanilla or plain, etc. Good for you for making a switch from soy! Perfect timing with this hub. I was just discussing milk alternatives last weekend, with my uncle who is a professor. I am lactose intolerant so no cow milk for me, and he said that soy milk is not that good for you, which is what I've been drinking. Thank you so much for this myriad of information, I am switching to Almond milk. I can't wait to taste it. I'm glad that you are drinking almond milk, in my opinion it's one of the best non dairy milks out there for a number of reasons. 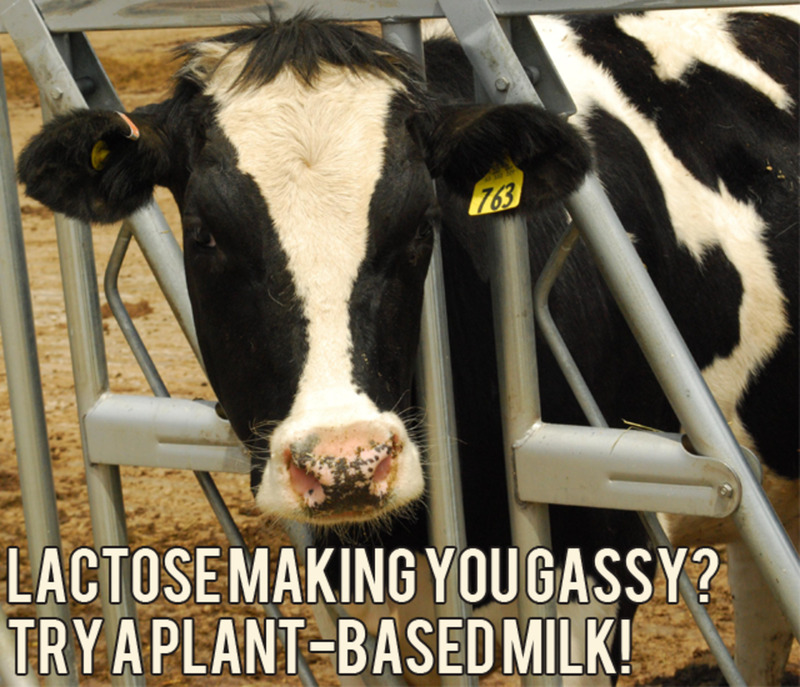 The dairy industry tries to scare people into thinking they must drink lots of milk, but that is not true! Good for you! My sister has recently been up visiting and she introduced us to Almond Milk, and explained how much of a healthy alternative it is. I tried it, and I just love it!!! It is delicious. Thanks for the great extensive hub here, very informative. Thank you Mrs Jil for your kind words! It seems almond milk is very popular among us non-dairy drinkers! 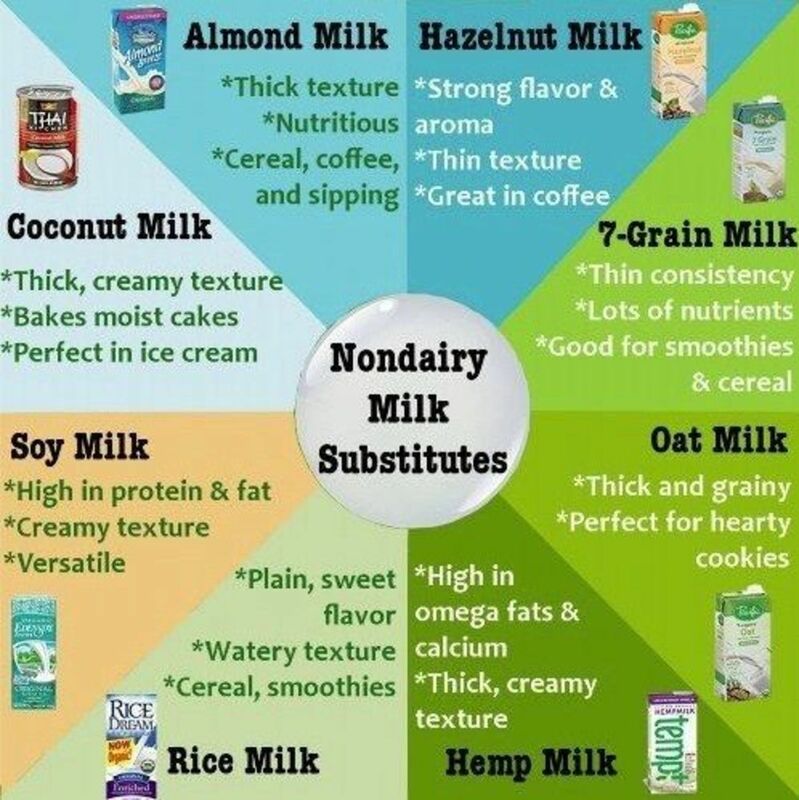 Wow thank you for this awesome hub, its great to have all this information together to make an informed choice about alternatives to dairy milk. Voted up for being so comprehensive and well-researched. I like almond milk, and was especially chuffed to see that it contains no cholesterol! That's a great point btulloho, people often associate milk with being a source of calcium, when there are many plant based sources of calcium, far lower in fat and cholesterol as well! Everyone, I read this article earlier and commented, but upon reading new comments I wanted to mention an awesome fact I recently realized. Kale has as much calcium calorie for calorie as cow's milk. Crazy, I know. Also, Kale is super high on the anti-inflammatory scale (though nothing beats turmeric there.) Happy eating! thank you MT, I love almond milk and I'm glad I switched off soy (less gas too). I hope you can find an alternative that works best for you and your wife! My wife and I have tried most of these with varying results. We're doing it for vegan purposes, so generally we want one that has high protein and calcium to replace what we got from regular milk. Neither of us like the taste of coconut, so we didn't care for that one. Oat milk was actually really good, but the store we bought it from stopped carrying it. Almond milk was okay, but I don't think my wife likes the tastes of almonds like I do. Rice milk was just too watery and had an oddly metallic taste to it (out of a carton, which makes no sense). And we've never tried hemp milk, though I think I've seen it at the store. So, for the most part, we drink soy milk, though the possible link to cancer has me a bit concerned. The almond milk option is also looking better because of its natural iron content. That's an important thing for us. But anyway, great article, I'm going to share this! Thanks for stopping by Athlyn! Nut milks are really beneficial, certainly more so than dairy. What a great hub. I love nut milks and creams and this listing will most certainly prove helpful to those trying to switch over to healthful alternatives. I agree. I did not know that anti-inflammatory quality of the almond milk, which is a double benefit for me since I have fibromyalgia. Thanks for sharing that info-it will motivate me even more to stay with this milk. Perhaps adding that info to your hub, if not already done, would benefit other folks also. :) Great job. Denise, I just saw on Dr. Oz yesterday that almond milk is an anti-inflammatory food that is beneficial for people with chronic pain. He himself has almond milk in his house too, apparently. I like the taste of almond milk, I like that price and even my 15 year old prefers it to regular milk. I'm glad you tried it! Different brands have different thicknesses and flavours. I prefer the thinner variety, and I don't like them sweet. I'm glad it's becoming more mainstream int eh grocery stores these days. I remember 10 years ago when I never even heard of almond milk and would have been hard pressed to find any. I wrote a comment earlier and am glad to report back to you that I tried the Almond milk (finally), and LOVE it. Thanks again for the awesome review here. It was very helpful. Very in-depth! I've made my own almond milk before. It's surprisingly simple to do and delicious! Thanks for a great hub! Vox, I can certainly relate, even though I don't have any allergies, I am sensitive to certain foods and being lactose intolerant, I have come to notice how many products manage to have milk in their list of ingredients and the choices of recipes out there gets limited when you can't eat cheese, never mind cream or milk. You are very welcome!! It's always good when you learn something new! This is a very comprehensive review - I'm not surprised it won a prize, and congratulations for that! I have used soy, rice and oat milk and one made with almond and hazelnut, and I'm not sure which I prefer. After reading this I think I will try making almond milk at home as the only ones I can buy have a high sugar content. Your information on coconut milk was especially useful to me because my father has multiple myeloma so I will pass this information on to him and include more coconut in our diet. I may even have a go at making coconut milk! Thank you for such useful information. Thank you turtlewoman, I too love almond milk and I definitely plan on making my own! Thank you everyone for your thoughtful comments and congrats I really appreciate it! 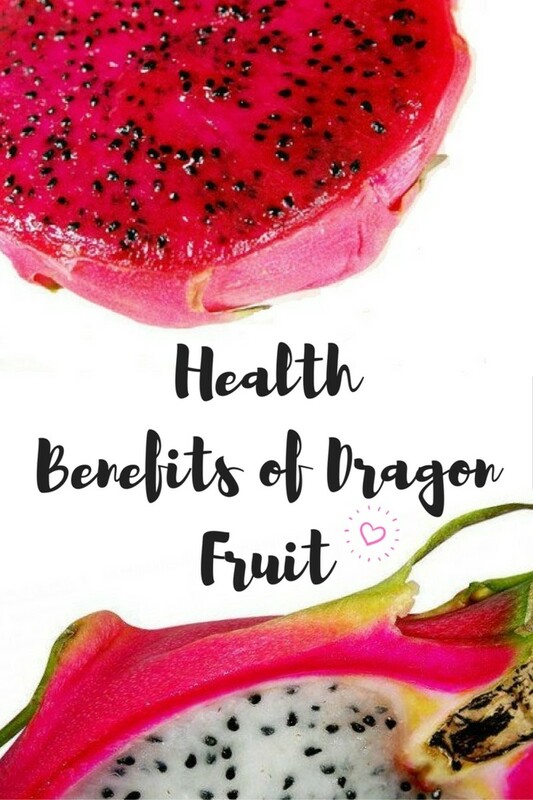 I learned quite a bit doing the research for this topic, and I'm so happy that it can help other people make a decision as to what is best for their health and lifestyle! Your article is so thorough and helpful, thank you. I've ALWAYS wanted to know and understand the differences between alternative milks since I avoid cows milk now (basically because it's fattening) and dairy products such as butter too! (sadly). I've been drinking rice milk for a few years now and glad to learn it's got all those carbs!!!! I had no idea. Now I'll have to look around for one of the other alternatives. Congratulations on your win. you do certainly deserve it. Voting and sharing. Well done brilliant article on milk alternatives. Voted up and shared on FB and Twitter. Here in Ireland we are still a bit behind in the milk alternatives. In the bigger supermarkets you can usually get Rice Milk, Soy milk and sometimes Coconut milk in a can. You might get some of the others in a Health store but there again you will pay more and hard to keep buying if you are on a budget and inconvenient to go there just for one thing. Lately I am drinking a lot of Lactose free dairy milk as I have been told once that is removed it is easier to digest. I was told by one nutritionist that Goat's milk can often e tolerated when cow's milk can't so I used to drink that and I loved it but now my cholesterol is gone high so I am supposed to stick to low fat or no dairy? So it is hard to get the balance right on a limited budget with not as much choice as you have in terms of products but after reading your article I am going to have another look again and see what I might find that I might have overlooked before. Would like to try more. Wow! What a great review here. It is so thorough I don't think you left one thing out. Congratulations on your win for the week. BTW-I don't drink or eat soy because it is contraindicated for my thyroid medication: synthroid. It throws the absorption off and thus ends up dropping the level. Thanks. Rated UP/U/I and sharing. I think I'll try the almond milk. Great job on this topic. I drink almond milk as an alternative to milk due to lactose intolerant, but also because it is healthier. Voted 5 stars! Thank you for the feedback and the compliment! I really appreciate it! Wow! What a great and comprehensive review. You've done a superb job of listing the alternatives, pros and cons. I've voted this up, useful, awesome, and interesting. I have to add one of my favorites was Real Goodness, milk with the lactose somehow removed, however, I can't get it around here anymore so I've switched to Smart Balance Lactose Free which I love.